The location of the lot serviced by the new employee parking shuttle. 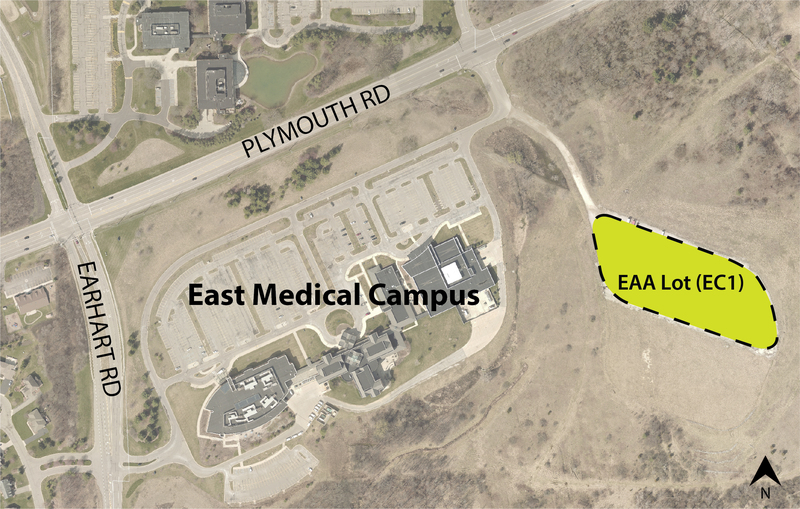 As part of Michigan Medicine’s plan to improve parking capacity and access, the organization is launching a new direct shuttle service for employees between the East Ann Arbor (EC1) gravel parking lot and the academic medical center. The service is scheduled to begin Monday, Feb. 5, and will provide easy access to approximately 375 free parking spaces for Michigan Medicine employees. The shuttles will run from 5:45 a.m. until 1 a.m., Monday through Friday (until Saturday morning). Between 1 a.m. and 4 a.m., return service will be provided by Blue Car and will depart from the Taubman Health Center entrance. Employees may be required to show an MCard in order to board the shuttle.